Eyemart Express, a Texas based chain of vision clinics is heading our way and will open in the coming months at 7808 N. Division. 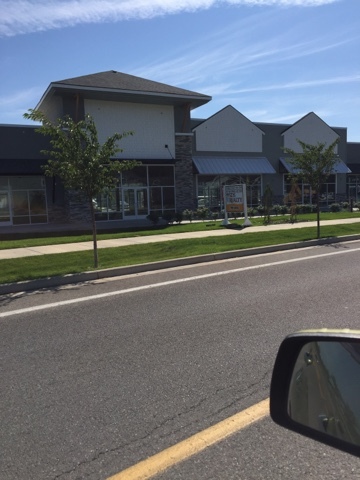 This is the former Apollo Spas store building that has since been remodeled into a small shopping center. The same shopping center that also recently became the home of the Spokane area's first Firehouse Subs as well. The company has been around since the early 90's when they we're founded in Appleton,Wi. At some time in their history they relocated their HQ to Farmers Branch,TX where today the home office oversees 162 stores in 34 states and an ecommerce website. And, while this will Eyemart Express' first Spokane location, it's not the first in this part of the country as the company already has a store in the Tri-Cities. Eyemart Express sells contacts and many different glasses options in addition to their locations offering eye exams via an indpendant Doctor of Optometry that practices on site. The chain also offers several deals like a second pair of glasses free with insurance and lower then average pricing. First of all, as of my writing this there are no actual re-development plans actually in the works for the Al's Motel building. This is simply a post to promote " what could be " to some of the readers of this site that may have a few more dollars in bank then I. With that said Al's Motel at 1417 N. Division is not be the top of the line. And although I'm sure it's mostly perfectly fine guests coming and going from the business, we all have likely hear it mentioned on the news at least once. So, it's not really too big of surpirise when I found it going up for sale on the CRE website LoopNet.com this week. But, this in itself is actually big news! So, the saying location, location , location is really ringing true for Al's Motel right now which is now available for sale from SVN Cornerstone for just $500,000. The motel offer 18 rooms, with 4 of those rooms being full apartments and an office area. For a reasonable price a developer could easily convert it into a boutique hotel or apartment complex or who knows? With projects like the re-development of the Wonder Bread factory building underway there is likely not a better time to start a project like this. I don't claim to be an expert at real estate by any means but a change to the building would likely be welcomed in the neighborhood and the community. What other Spokane area buildings / lots would you like to see be rehabbed into something new? Chef Chad White who owns Zona Blanca ceviche bar on Madison Downtown will open a new oyster bar on W. Main also in Downtown Spokane. The new oyster bar will be called Tide and Tonic and will occupy the space next door to Durkin's Liquor Bar in the 400 block of W. Main across from Auntie's Bookstore. Spokaneeats says Tide and Tonic will be a " West Coast whimsical Oyster Bar " . Calling all my gamers, it is finally happening, a new gaming bar is setting up shop and should be open for business sometime within the next few months in Spokane Valley. It is to be called Geeksnglory and will be a locally owned and operated bar with gaming theme. The owners are working on getting everything together and just recently applied for a state liquor license. The bar will be located in a leased space at 6710 E. Sprague Ave, just to the east of the intersection of Sprague and Thierman Rd . Geeksnglory will boast both and indoor bar and a seasonal outside patio area. They also tell me they will have both retro and current consoles , virtual reality and a huge library of games. Beer, wine , liquor and some snacks will be served. Once open Geeksnglory plans to also host game tournaments, cosplay contests, streamed game tournaments, video game giveaways and much more. Although not official yet, they hope to open around the first part of October. 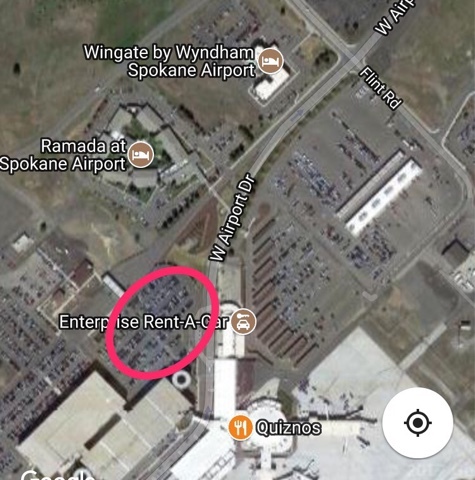 Most are aware that two franchised hotels sit just a short walk east of the main baggage claim at Spokane International Airport ( Ramada and Wingate Inn ). While most every airport with commercial flight service has a hotel close by, Spokane is one of only a few with hotels being close enough for guest to walk to and from via a safe sidewalk from the terminal right up to the lobby. And, if the planning continues to work out a third hotel, will soon join that same area. This time the new hotel will likely be closer yet then the others. This is due to a land lease setup being ironed out between the Airport and an Illinois based hotel developer. Decatur,Ill based Tharaldson Hospitality Management is purposing building their new hotel on land that is currently used as an surface parking lot for the Airport. This would be located in the gap in-between outbound Airport Dr. and the exit booths for the parking areas. The hotel is purposed to be a franchised location of the Staybridge Suites chain, which is modern suite like hotel branding. The Spokane Airport Staybridge Suites would be a 4 story building with about 110 hotel rooms and most amenities common of mid range chain hotels. Because planning is still on going as of my writing this, there is no set opening date just yet. It should be noted however that Tharaldson Hospitality Management is also planning to be construction another Staybridge Suites in Coeur d' Alene near the entrance to Riverstone development. That hotel is supposed to open sometime early next year, so we can guess that they are hoping to also open at Spokane International Airport sometime in 2018. This is just one phase of some big plans coming in the near future to Spokane International Airport. The Airport plans to build a gas station / c-store not far to the east of this new hotel site in the coming months, big changes are coming soon to the shops/restaurants in the rotunda area and we're hearing about some new plans for the C concourse gates. The hot and smoky summer of 2017 will come to a close soon. And, all that is Fall will be here soon... including Halloween! And each Halloween season Spokane and Coeur d' Alene receive several locations of the Spirit Halloween chain . Spirit Halloween is actually a year round company online but in most US cities they open retail stores in vacant mid / big box stores. This is all that is listed as of now, if any more stores are added I will add them here. Although this is likely the entire list. The opening dates for each store are also not listed but will probably be in the next couple of weeks or so. The stores usually stay open for a little over 2 months, closing a day or two after Halloween. Spokane Overstock is a local small business success stories. The deeply discounted furniture and mattress retailer has gone from one small warehouse like shop in the Valley, to 2 full stores in Spokane in just a few short years. In fact I still remember mentioning both of the them on this site. Those stores can be found at 9818 E. Montgomery in Spokane Valley and 2915 N. Division at the base of the Division St. Hill. And now, while technically under a slightly different name, they are taking their recipe for marketing furniture to North Idaho. This with the about to open Overstocked Mattress & Furniture coming soon to the Prairie Shopping Center, by the US 95 / Prairie Ave intersection in Hayden. Overstocked Mattress & Furniture will occupy much of the space that was last used by a Hancock Fabrics store. From what I've heard another portion of the space will also become a Idaho State Liquor Store but more on that later. The new store will open for business as a soft opening today ( Fri. Aug. 11th ) . They will also have a grand opening celebration on Aug. 18th . The store carries a bit of everything from couches , sectionals, full beds , recliners and of course mattresses. And largely because of their overstock business concept their merchandise is discounted and usually marked significantly less then the other furniture stores. And, on top of all of that Overstocked Mattress & Furniture is a locally owned and operated business. I'll admit there isn't too much exciting about self storage places. Sure they are a necessity for many and probably make a good profit for the business owner, but when it comes to getting posted on this site I tend to shy away as they're not big attention getters. Local developer Lanze Douglass is currently in the SEPA application phase to develop another location of his company's Secure It Self Storage at 15702-15722 E. Broadway Ave in Spokane Valley. This would be the site behind Numerica Credit Union and facing the shopping center with Wal-Mart / Dress Barn / Toys R Us, etc... . This is the second new Secure-It Self Storage location currently under development as another in also in the works in North Spokane near the corner of Nevada & Magnesium . The new Spokane Valley location will be large and offer both indoor and outdoor storage spaces. In all the site will offer 600 storage units , a rental office and paved areas for RV storage. The developer hopes to begin construction at the site as early as this fall or whenever he is able to pull permits for the land. The storage units would then likely open for business early in 2018, currently the comment period for SEPA application is open till the end of the business day on Aug 22nd. Menchie's Frozen Yogurt is coming to our area! The chain which has been growing quickly since it's inception in 2007 is working on opening their first location in Spokane. They will occupy a space at the North Pointe Shopping Center, in what appears to be the spaces in-between Total Wine & More and Safeway. This new location will be a franchise of the Encino,CA based chain of frozen yogurt stores. While it will be Spokane's first , it's far from the first. Menchie's operates over 540 locations with locations around the United States and far off lands like England, Kuwait, UAE and more. All of this expansion has come since the company's first store opened in California just a little more then 10 years ago. The company has even been highlighted on a past episode of the TV show Undercover Boss. Menchie's Frozen Yogurt isn't too much different that all of the other frozen yogurt stores that now dot the landscape with a self service concept and plenty of toppings. However they do have a large selection of flavors that even includes low fat, low carb , sorbet and no sugar added options, check with the store however to see what flavors are currently available. They also sell custom frozen yogurt cakes great for birthdays and most any special occasion. The Spokane Menchie's will be located at 9986 N. Newport Hwy. . Watch our Facebook page for more news on when this location will open as we don't have the opening date just yet. Regardless of how you fell about it fast food chains like Burger King can be found everywhere. And it looks like Burger King is trying to increase their chain's presence in the Spokane market as 2 new building permit filings showing new locations coming soon. Burger King also recently opened a new location on N. Division just south of Northtown Mall a couple of years ago now. And, they also purposed a location on the site of the former Shari's restaurant on N. Monroe but have since abandoned the plans for that store due to a confliction with their planned drive through and the City of Spokane rules and regulations in the part of the city. What's interesting about these 2 new planned Burger King's is they both will not be in traditional stand alone locations and both are already occupied by other restaurants. - The front entrance of the Spokane Valley Wal Mart at 15727 E. Broadway. Here the new Burger King will replace the existing McDonald's. Burger King is well Burger King, a fast food burger chain based in Miami,FL . The chain operates stores ( mostly as franchises ) all over the world, today there is more then 15,000 Burger King restaurants. They have come along way since launching as " Insta-Burger King " in 1950's Jacksonville,FL. New Spokane Valley Sportsman's Warehouse to host grand opening tomorrow! Announced back in March, the area's newest Sportsman's Warehouse store is now open for business with a grand opening celebration planned for tomorrow morning ( Aug. 3rd, 2017 ) . The new store occupies what once was a Sports Authority store at 15118 E. Indiana Ave, just a short trip to the east of Spokane Valley Mall. The new store occupies the entire 32,000 square foot space next door to a Home Goods and a Joann Fabrics. It sells all of the sporting goods and outdoors merchandise items one expects from the Utah based Sportsman's Warehouse chain. They offer departments for hunting ( including firearm sales ) , fishing/marine, camping, clothing, shoes/waders and more. This is the chain's second location in Spokane but they are not new to the area, the chain once had 3 stores in the Inland Northwest. All of those closed however to reorganize the company a few years back. Their first store to return the companies presence to the Inland Northwest is the store at 6720 N. Division which will also remain open. With the opening of this store Sportsman's Warehouse will operate 84 retail locations in 22 states, it will be the 11th store in Washington State. The grand opening will begin at 8:30am Thursday morning with the first 200 shoppers to though the door to receive a $20 gift card and a free Sportsman's Warehouse hat. A large celebration will also kick off the morning with members of the community like Rod Higgins, Mayor of Spokane Valley and many more on hand to speak and welcome the company back to Spokane Valley. If you can't make it for the morning celebrations sales will continue sales, give away's and factory representatives on site for some time after. This looks to be the only new Sportsman's Warehouse store planned to open in our area at this point in time. The chain however will also open 1 other location for sure this year down in Stockton,CA . The company is a publicly traded firm that employs thousands and despite tough times in the past the company seems to be back in expansion mode. Not long ago I posted a mention that building permits had been applied for to build out / open a place called Incrediburger in Downtown Spokane. At that time I knew basically nothing of what Incrediburger was or if it even was the official name for this new restaurant. Now, we are learning some more about what this new restaurant will be. It will in fact be called Incrediburger and is to open by the end of the year. The burger restaurant will be a quick casual concept from local chef Adam Hegsted. It will have a menu of gourmet burgers along with a selection of beer's. Incrediburger will the first floor of the former Dempsey's Brass Rail bar building, which is about 3900 square feet. The building is at 909 W. 1st Ave in Spokane's Entertainment District, which will like also be perk for the restaurant. The building was purchased by GVD Commercial Properties who moved their offices into the second floor going on two years ago. 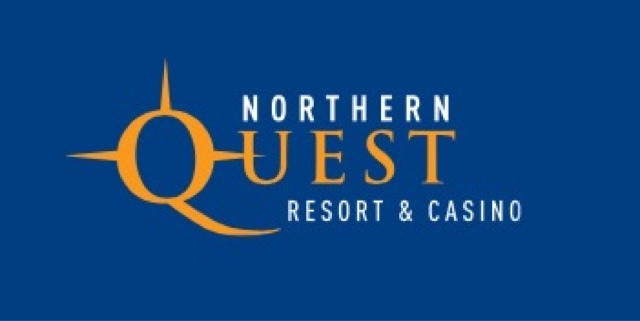 Earlier this year the Kalispel Tribe announced their plans to expand Northern Quest Resort & Casino. And, today the Tribe hosted a ground breaking ceremony which will expand the resort and add a number of new family friendly features to the sprawling campus on Hayford Rd. in Airway Heights. - A new apartment complex, to be built behind the new RV Resort. The apartment complex will have 216 apartments that are described as market rate units. It will be built as a partnership between the Kalispel Tribe and TWG Development,LLC of Indianapolis,IN. . The complex will be pet friendly with an on site dog park , clubhouse, outdoor pool , sand volleyball court and basketball court. Some garages will also be available for tenant use. The yet to be named apartment complex will be built on a little over 10 acres directly the west of Northern Quest's new RV Park. The RV Park will be directly behind the Tribal owned Chevron at Legacy Landing on Hayford Rd. Construction on the apartments starts likely in the fall with leasing coming sometime in 2018. Also, perhaps the more exciting news is they are planning a Movie & Dinner movie theater. The new theater will feature first run films in a newly constructed 25,000 square foot building that will offer six " boutique screening room auditoriums " . It will also have a Brut-Gourmet style restaurant and bar all located across the street from the existing Casino entrance by Epic Sports Bar. The restaurant with the complex will feature a menu of what they describe as simple foods and bold flavors led by Chef Mark Desmet. The restaurant will seat about 130 and all food include movie theater staples like popcorn and soft drinks can be delivered straight to your reclining movie seat. The complex will use the Movie & Dinner branding which was created and is operated by CeneGenesis who has a long history of exciting movie theater innovations. The new Movie & Theater complex will also open for business in 2018 and will create around 50 to 75 jobs. It will also offer a full bar. -Expansion of the Casino's food court, featuring at least 2 more restaurants, they have yet to be named however.